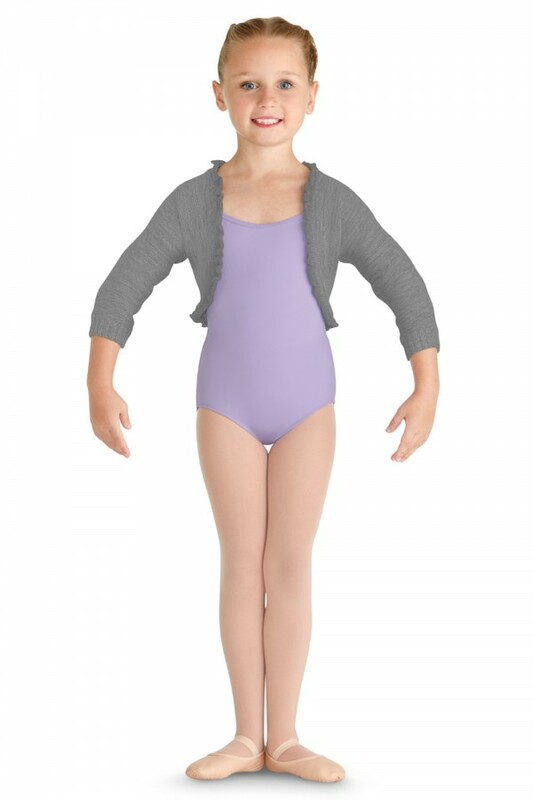 Bolero inspired shrug for your tiny dancer is sweet and sophisticated. 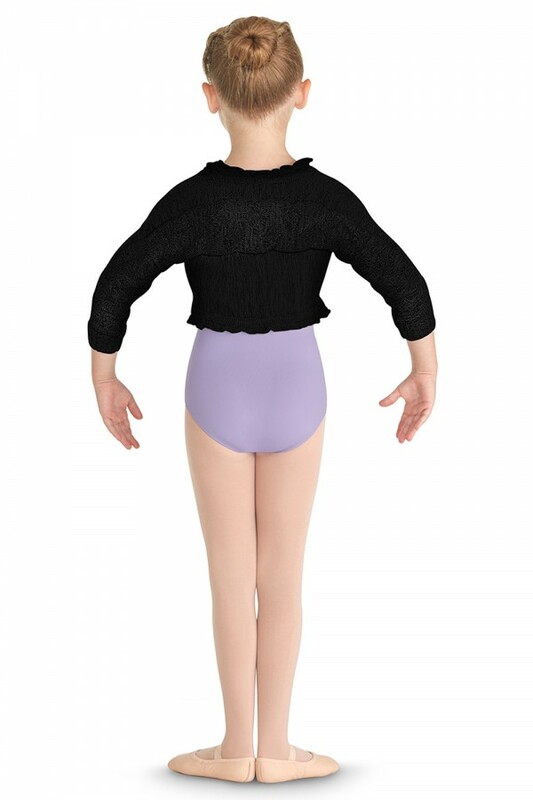 Pair with any top or leotard to keep warm in class. 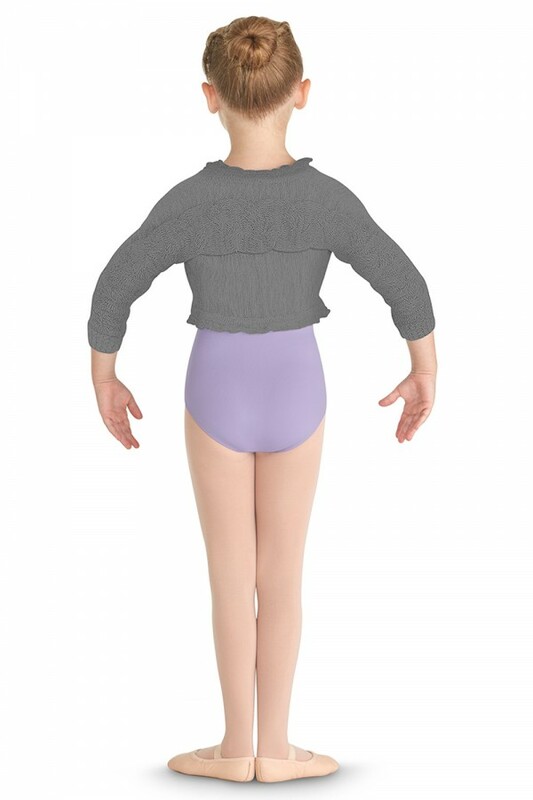 Across the back is a horizontal cable knit detail. 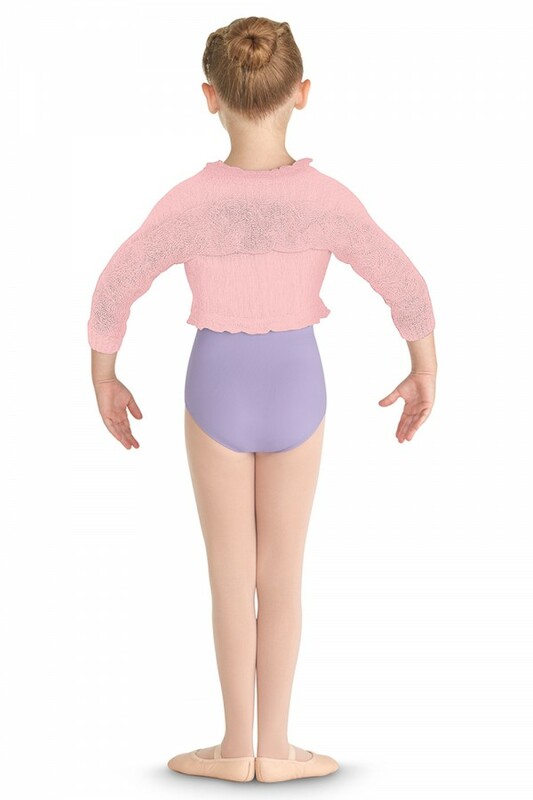 Ribbed cuffs and frill hem adds cute detail.